Is It Time to Refinance Your Home Again? Should I Refinance Now?” that will help you take a hard look at the numbers before you decide if another refinance is worth it. Real estate expert Ilyce Glink talks about her experience refinancing and her thought process as she considers refinancing for the second time in less than a year. A major consideration is the cost of the refinance versus what you will save each month. To make the math easy, let’s say it would cost you $1,200 in closing costs, but you would save $100 a month. You break even in one year. If you’ve refinanced in the last year, think about how much you’ve paid in interest since you refinanced. Because you pay more interest each year at the beginning of your loan, Glink says you’ve likely already paid thousands. If you refinance now, you’ll lose the year you’ve already paid. It will now take you a year longer to pay off your loan, plus it’s as if you’ve lost the money you’ve already paid in interest. Glink’s plan to make this work out better is to put some of the monthly savings toward one extra mortgage payment each year. 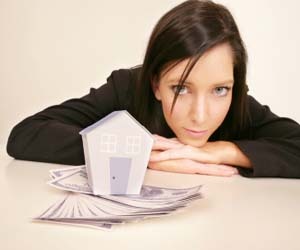 In her case, one extra payment per year will knock one year off of the loan. With the savings in interest, pre-payments on her loan, and subtracting the interest she “lost” in the last year, she figures that she still stands to save several thousand dollars. Equifax Personal Finance Blog. She has links to follow, many more articles on real estate and finance, and an opportunity for you to ask questions. This entry was posted in Featured, New Home News and tagged equifax personal finance blog, refinancing your home on September 24, 2010 by Carol Morgan.